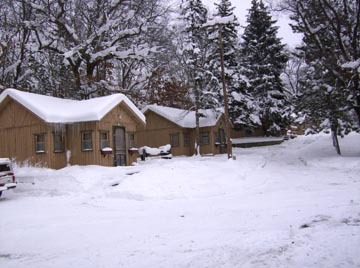 Looking rustic on the outside, our cabins are modern,up to date,and fully furnished. 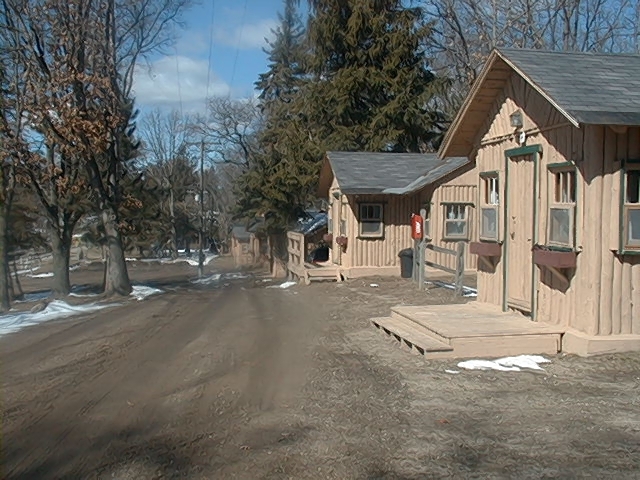 The cabins have two bedrooms. Most cabins have a double bed in each room. 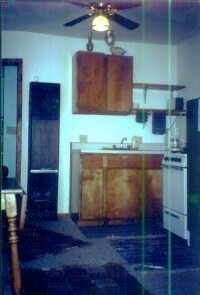 Each cabin has a kitchen with stove, refrigerator , coffee maker, toaster, pots and pans, ect. All cabins have a bathroom with shower. Linens and towels are provided. All you need is your personal items and food. Cabins have propane heat for the cool northern Michigan nights. Fire circles are located through out the property for your enjoyment. We may allow pets in some cabins,but not on the furniture. You are responsible for your pet if allowed. Never leave the pet alone in the cabins. Clean up after your pet. Cleaning charges may be added for "accidents". Any damages caused by your pet are your responsibility. class fishing adventure. We have a fish cleaning area and a freezer to use while you are here. If fishing isn't your interest you can bring your bike or hiking boots. We are close to the North Country Trail and Big "M" area. For swimming Wellston has a public beach on Crystal Lake or we are minutes away from Manistee with the beaches on Lake Michigan. So pack up and come up North for some rest and relaxation the easy way with one of our cabins. Don't you need a break?